We often hear that natural fabrics are the best choice when it comes to baby blankets and clothes. What makes them so suitable for the baby’s skin? Is it enough for fabrics only to be natural? What about organic production? 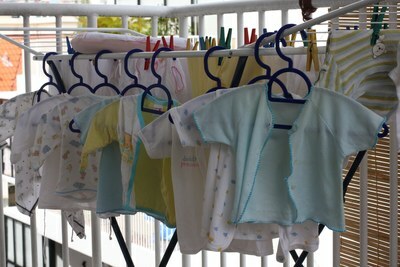 There are so many types of clothes for your baby and it is best for you if you are familiar with all of them. Let’s start. When you prepare your baby for bed, especially a new-born, the most suitable clothes are swaddles bags and sleepers. A swaddle is a special type of blanket in which you wrap your baby to sleep. Sleepers are one-piece suits which have snaps down the legs so that you can easily change diapers. 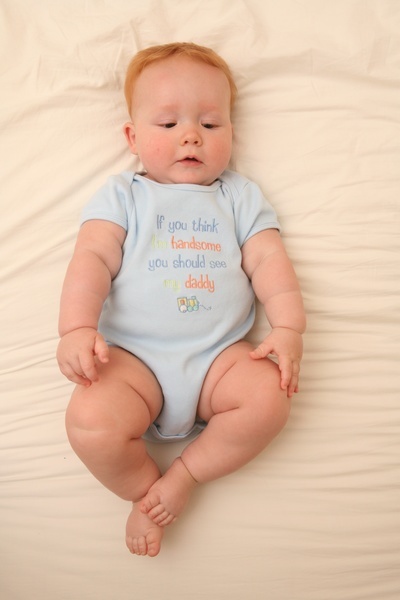 Onesies are baby T-shirts and they are practical as they can be worn alone or as an undergarment. If your baby wears onesies alone, leggings and pull-on pants are necessary as well. You need to have, hats, socks and outer garments such as sweaters and jackets. Finally, do not forget baby bedding including baby sheets,baby blankets and baby sleeping bags. When we think about natural fabrics, maybe the first fabric that crosses our mind is knitted cotton. However, there are more to it than meets the eye: other natural fabrics are bamboo, hemp and linen. Bamboo textile is any fabric made of bamboo fibre. With the advance of technology, bamboo become one of the most popular fabrics used for clothing. Made from cannabis plant, hemp was used for sail canvas at first, but now it is used for clothing as well. Linen is made from flax plant, while cotton as pure cellulose is made from cotton plants. Why to choose natural fabrics? Even though cotton, linen, hemp and bamboo are natural fabrics, they may be grown with pesticides and the manufacture of these fabrics can include bleaches, dyes and many toxic chemicals which can present a risk for child’s health. The best option is to buy clothes made of organic cotton, bamboo, hemp or linen in order to be sure your baby wears 100% natural fabric. Organic bamboo is naturally soft and it is even softer than cotton. It is anti-bacterial and suitable for children with sensitive skin. The clothing made from bamboo is breathable and it absorbs moisture four times better than cotton. Linen is a durable, hypo-allergenic fabric with thermo-regulating properties. This fabric can absorb as much as 20% of moisture being perfect for hot summer days. Hemp fabric is even more durable than linen and cotton. It can last up to six times as long as other materials. It is often blended with other fabrics such as cotton and silk in order to become softer. Hemp is absorbent and UV resistant. Cotton has similar properties like other materials we have mentioned. It is breathable, soft and absorbent and it needs low maintenance. You as a parent want the best for your baby. Bear in mid all the facts we have mentioned and choose only organic and natural materials After all, your baby’s skin is in constant contact with them. Editor will add in a couple of related articles here. If you have an article you want linked in at the end, please let your Editor know.